As life gets a little bit harder, I tend to go out of my way to make more time for self care and for the things that make me happy. One of the ways in which I like to perk myself up is by buying books. No, buying beautiful books doesn't make all the life stuff go away entirely but it does help me to take my mind off it for a little while and I'm therefore hailing it as a good thing. 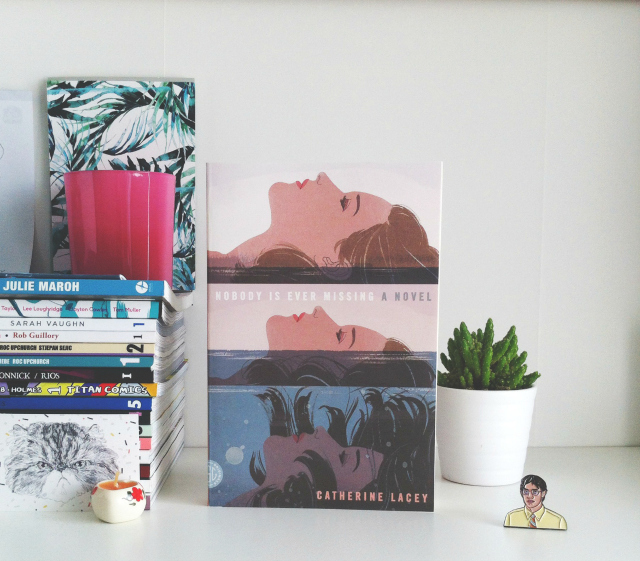 Everybody loves a book haul, lets not kid ourselves! 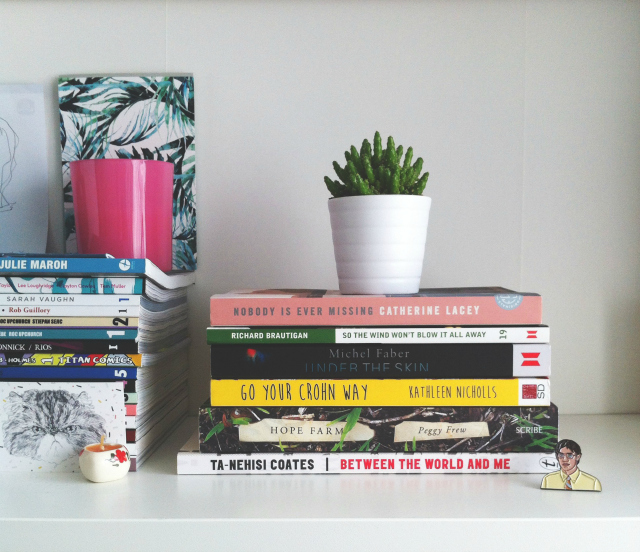 And luckily for us all, it's my biggest book haul of the year so far with 6 new books winging their way to my bookshelves. I know that in the grand scheme of book blogging and booktubing that is nothing but I have been quite frugal with my bookish purchases so far this year (probably because I've suddenly got a penchant for buying faux leather jackets instead...). In the winter of 1985. 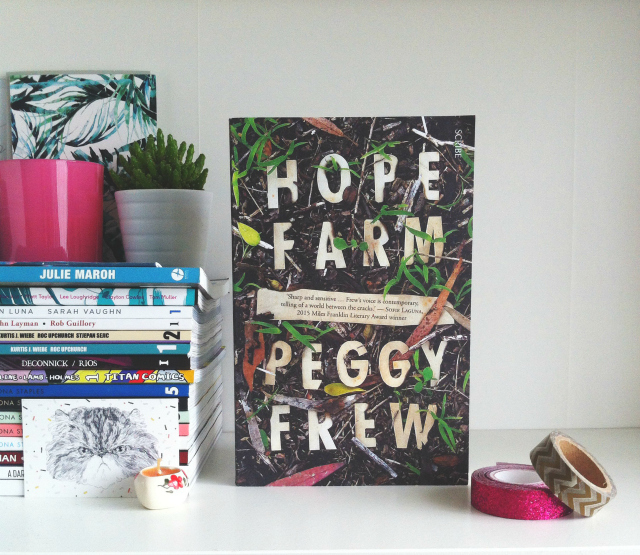 Hope Farm sticks out of the ragged landscape like a decaying tooth, its weatherboard walls sagging into the undergrowth. Silver's mother, Ishtar, has fallen for the charismatic Miller, and the three of them have moved to the rural hippie commune to make a new start. At Hope, Silver finds unexpected friendship and, at last, a place to call home. But it is also here that, at just thirteen, she is thrust into an unrelenting adult world - and the walls begin to come tumbling down, with deadly consequences. I've always been weirdly fascinated by tales of cults and communes, as mentioned in my Reading Taste post, so when I got an email about this book I decided to do a pretty rare thing and accept a review copy. The blurb makes this sound like the perfect summer page turner, so I'm hoping to put it to the test and read it over the next couple of months. Loving that cover too - who knew soil could look so good?! If you've got any recommendations for shows, films or books about cults, etc, then do please let me know in a comment or a tweet. Nobody Is Ever Missing had been on my Goodreads 'books to buy' list since January 2015 after I stumbled across it in the 'recommended reads' section. I put it to the back of my mind but a few weeks ago I was browsing the publisher's website and I decided to finally give it a shot. Not gonna lie pals, the cover drew me to it initially. Dem colours. Mmm! However, the blurb also completely draws me in. I'm all for exploring mental health through literature and Elyria sounds like a pretty interesting protagonist. I'll report back. 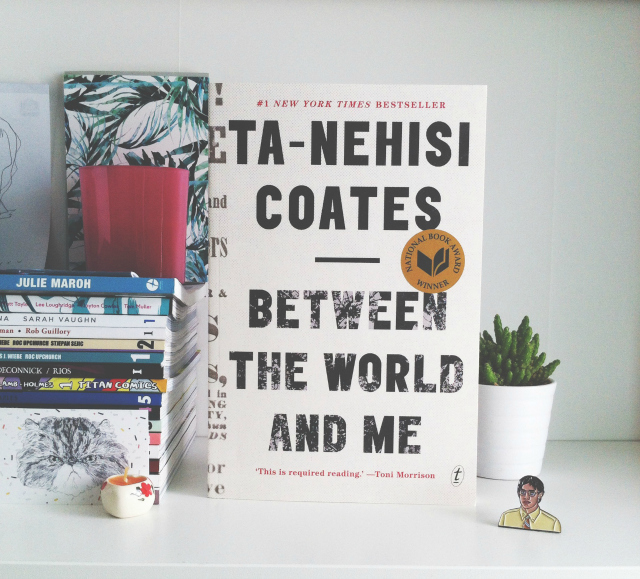 This book set the online book community alight when it was released last year and, from what I've read, rightly so! I am so looking forward to reading this. I've got a feeling it's going to be quite hard hitting but literature such as this is so bloody important and needs to be shared far and wide! Sometimes I just happen to stumble across books and for whatever reason I purchase them without really knowing anything about them or the author. Luckily, this time my yolo laissez-faire attitude panned out well. I read this a couple of weeks ago in the garden and it was so funny and charming and well written! I loved it. More on that in my May book reviews later this month. I managed to avoid knowing too much about the plot before I read this and I'm so glad that was the case. I was looking for a thriller to sink my teeth into whilst I dogsat and this turned out to be the perfect read for me. I had been wanting to read Under The Skin for such a long time and I feel like it exceeded all my expectations. More on my experiences in my future book review but just know that I was pleased with this purchase. Also, as film covers go...this one is pretty great. For Kathleen Nicholls, life with Crohn's Disease has been a constant battle against her bowels. But life has also been about David Bowie, dancing, and laughter. Go Your Crohn Way follows the highs and lows of Kathleen's experiences, and is full of useful advice for maintaining self-confidence and positivity while navigating the world of work, relationships, and those conversations. Warm and inspiring, this book demonstrates how Crohn's can be life-changing, but not just for the worse. 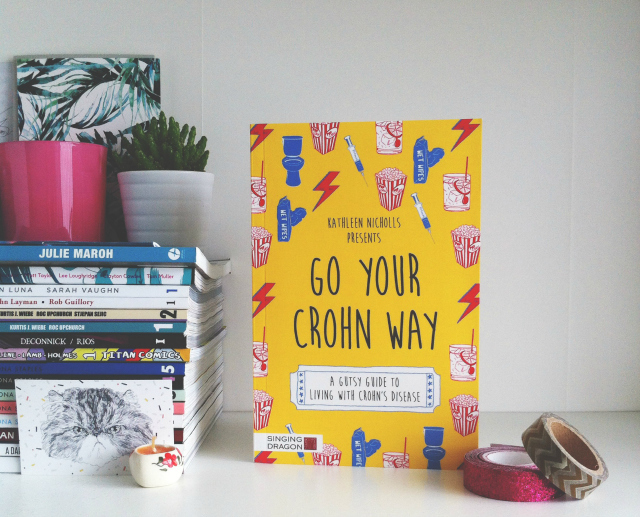 Kathleen gives advice and tips on adapting and thriving through Crohn's, including a specially created phrasebook, which proves that so long as you know how to ask for the nearest bathroom, globe-trotting is still firmly on the agenda. Full of fun and humour, Kathleen's journey through life with Crohn's Disease will leave you - like her - in stitches. One of the best things about being a spoonie online is 'meeting' fellow Crohnies that just get you. I met Kathleen, a part-time Sly Stallone lookalike, after stumbling across the blog that she writes about her experiences with Crohns Disease, Crohnological Order. Always destined for great things, Kathleen put all her expertise into writing and publishing a book that is wonderfully titled Go Your Crohn Away. I won this in a Twitter giveaway and I am so looking forward to thumbing through it when I feel entirely alone in this world. From the pages I've browsed already, I can tell this book is totally worth a read. Well done, Kathleen! You go, hen! 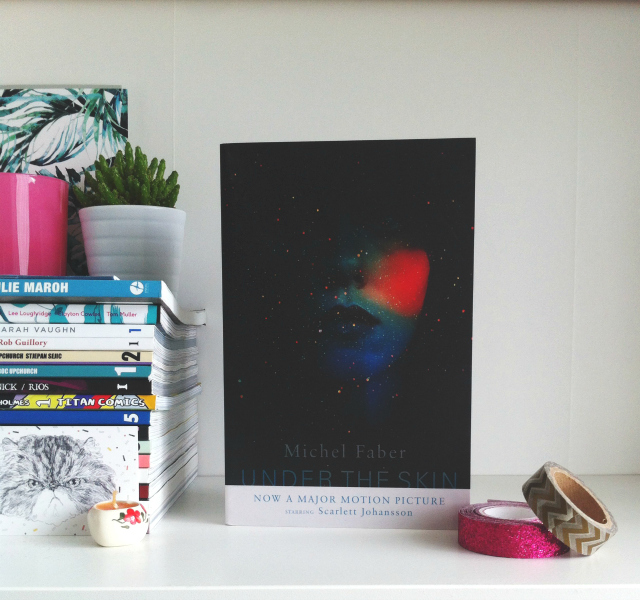 I'm so glad you enjoyed Under the Skin, Michel Faber is becoming one of my favourites. He has an amazing way with words, and as someone who isn't usually a fan of science fiction I couldn't put it down. I'd recommend The Book of Strange New Things too if you haven't read it already! oooh hope you enjoy your new reads! 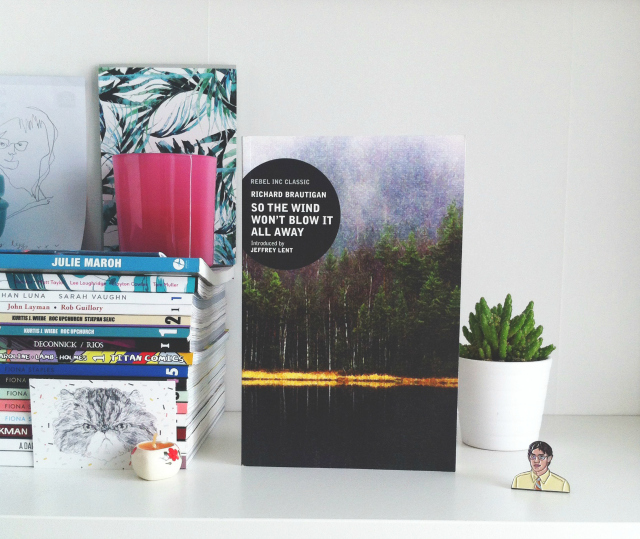 I've recently ordered two poetry anthologies, simon armitage's The Universal Home Doctor and Carol Ann Duffy's The World's Wife, perhaps you've heard of it? (it's such a brilliant concept, where she take famous women from history/fairytales or creates female counterparts of famous male characters, and goodness her writing is so so powerful and lovely) I remember you recommending milk and honey in a post too, so that's also on my wishlist!